Barley Hall provides a truly unique setting for your wedding; a medieval building in the heart of historic York, guaranteeing wonderful memories that last a lifetime.This exceptional historic house offers you the opportunity to create a celebration set within a rich and sumptuous atmosphere made by beamed ceilings, flickering candlelight, and medieval ornamentation. The Hall is licensed for civil ceremonies and civil partnerships and can also offer you a beautiful venue for receptions, from canapé parties to medieval banquets. 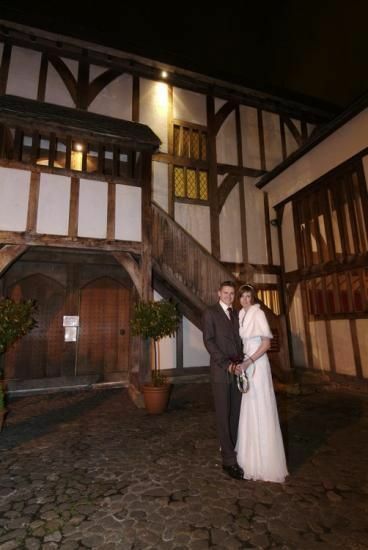 You may choose to have either your ceremony or your reception at Barley Hall - or both. Whatever you select, you can be assured of a memorable day, in a remarkable setting, with personal dedicated service from one of our experienced team of wedding coordinators.